The Star One C3 satellite was ordered from Star One S.A. in March 2010 and will carry a hybrid payload and will be located at an orbital slot between 75 and 84 degrees West Longitude. 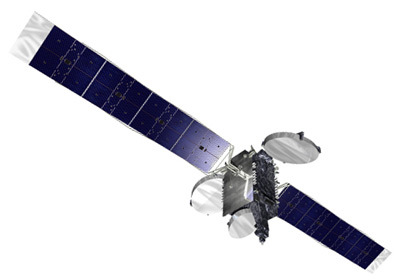 Based on Orbital’s Enhanced Star-2.4 Bus, the spacecraft will carry 28 active C-band transponders for coverage of South America, and 16 Ku-band transponders with six switchable channels between Brazil and the Andean coverage region. Star One C3 will generate approximately five kilowatts of payload power and will feature two 2.3 meter deployable reflectors and one 1.4 meter earth deck-mounted antenna.